KCTV5 There has been some recent UFO sightings by residents in Blue Springs Missouri. The local news captured a glimpse of the prism-like objects that appear to vibrantly flash different colors of light while staying mostly stagnant in the air. Sort of sounds like seeing Venus through a hot hazy atmosphere, but apparently more than one has appeared at the same time and one resident claims she saw one drop with swift movement. In the past I’ve seen videos on YouTube of these types of unidentified objects. 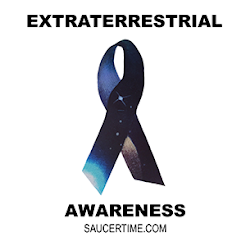 It’s hard to say if it’s extraterrestrial or not. These objects don’t seem to make much movement, but apparently NORAD did not immediately give any comments to the Huffington Post. So, there is a strong chance it’s man made, because our defense doesn’t seem to be too worried about it, or it’s extraterrestrial! !